If you have not already read it, you may wish to read Pathways Through Holonomics: Part One first. 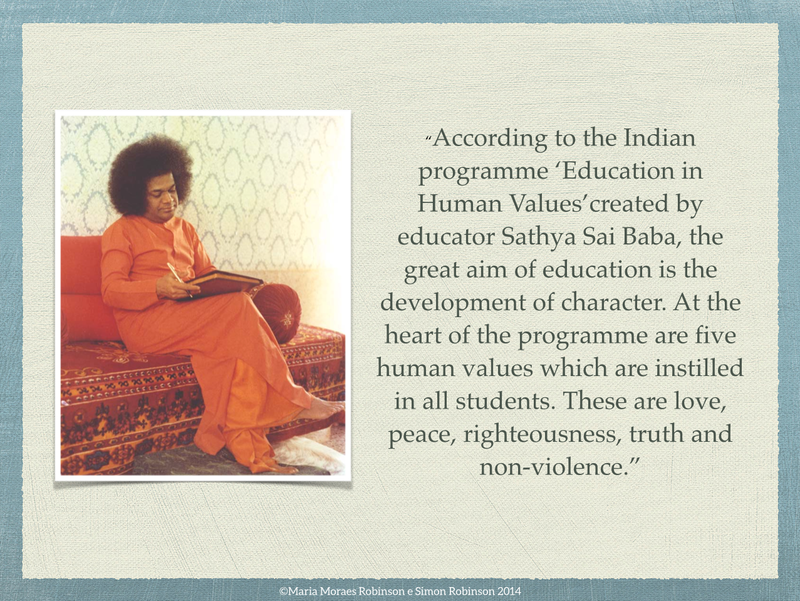 In this article I will explore the section to the right, starting with The Systems View of Life. Some of you may see that this is in fact a slightly different version, with David Bohm’s Wholeness and the Implicate Order added alongside Sarah Rozenthuler’s Life-Changing Conversations. I’ll come to them later. Starting with The Systems View of Life, we look at some of the key friends and influences on the work of Fritjof Capra, and these include Lynn Margulis, Carl Sagan, Ilya Prigogine, Isabelle Sengers and Brian Goodwin, the great inspiration behind the creation of the master degree in Holistic Science at Schumacher College. While writing Holonomics, as we say in the acknowledgements, a large number of exceptionally brilliant people gave us permission to cite and use their work, including Isabelle Stengers who gave us permission to reuse this image from Order Out of Chaos. Fritjof is a good friend of ours, and as you know, Maria and I were able to spend quite some time with him recently in São Paulo. Yes, I did ask him ontologically speaking, what happens at this type of bifurcation, and yes, Fritjof did reply. But now is not the time to explore the answer, as it involves an examination of the notion of randomness (which we do cover in Holonomics). What I can recommend as an introduction is the free on-line course The Introduction to Dynamical Systems and Chaos run by Dave Feldman at The Santa Fe Institute. I review the course in this article – Thoughts on Santa Fe’s new MOOC – and also it was great last year to announce that Holonomics has been accepted into the on-line resource section of Complexity Explorer, the overall on-line resource for all of Santa Fe’s MOOCs relating to complexity and chaos (see How Holonomics integrates with Santa Fe Institute’s Complexity Explorer Programme). 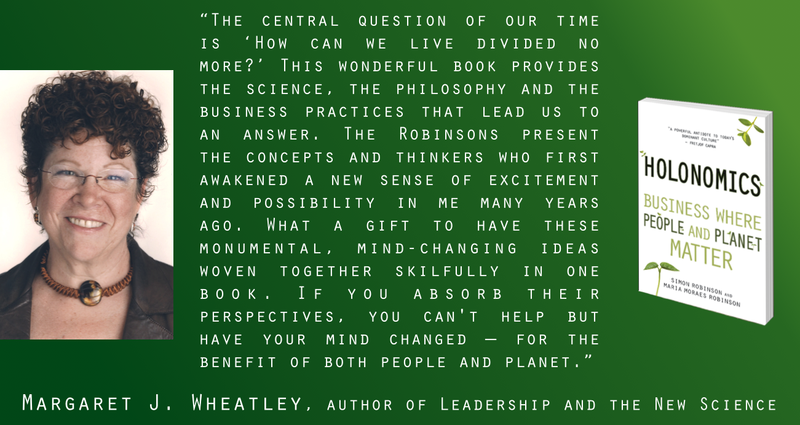 This pathway of course leads us to Margaret Wheatley’s Leadership and the New Science which is still one of the top books on how the new sciences of complexity and chaos theory are changing the mental models of people in business. Margaret, like Fritjof and Tomas Johnson, was also extremely generous in writing a testimony for Holonomics, and she is also a regular teacher at Schumacher College. We also see a branch here, leading to the pioneering work of Brian Goodwin, who as I mentioned, was the creator of Holistic Science. Brian died in 2009, just a few months before I started my degree, and so I never had the chance to meet him in person. We see in this digram that Maria and I refer to as the Holonomics operating system, that to really know the world we need the four ways of knowing, Brian developed a way of science influenced by Goethe (as I mentioned in Part One) and a great introduction to his work is the book The Intuitive Way of Knowing: A Tribute to Brian Goodwin which I reviewed when it came out in 2013. If we continue along this path, we find we are at a point where our scientific paradigms are tested to breaking point. While everyone seems to quote Thomas Kuhn’s The Structure of Scientific Revolutions whenever they mention paradigm shifts, for me there is an amazing trilogy in Henri Bortoft’s The Wholeness of Nature, Bohm and Peat’s Science, order and Creativity and Arthur Koestler’s The Sleepwalkers: A History of Man’s Changing Vision of the Universe. I recently wrote this article which is all about challenging our notion of paradigms, and it brings together Henri, Brian and Koestler: If Paradigm Shifts are dead What Next? So then if we move up, we enter into what could be seen as the foundation of Holonomics, the five universal values of peace, truth, love, right-action and non-violence. 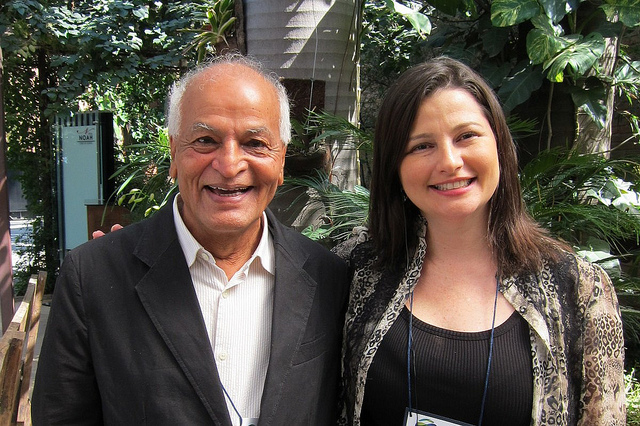 One of the highlights of doing holistic science was being able to spend so much time with Satish, the founder of Schumacher College, and so in Holonomics we combine this gentle spirituality with the insights from the Indian programme Education in Human Values. 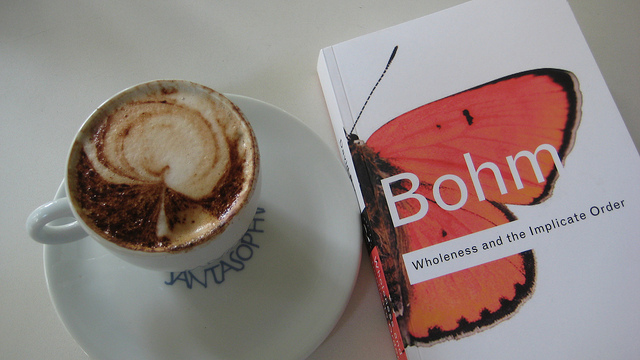 If we move back into the centre and start with Holonomics again, we find a new path through Henri’s work on wholeness, to David Bohm. In the 1960s Henri studied the problem of wholeness in quantum physics as a post-doctoral student under Bohm. If I could have found a way, I would have put every single book by Bohm in this picture, so Wholeness and the Implicate Order is just there to represent this amazing physicist, philosopher and great contributor to our understanding of the themes of creativity, dialogue and fragmentation in society. 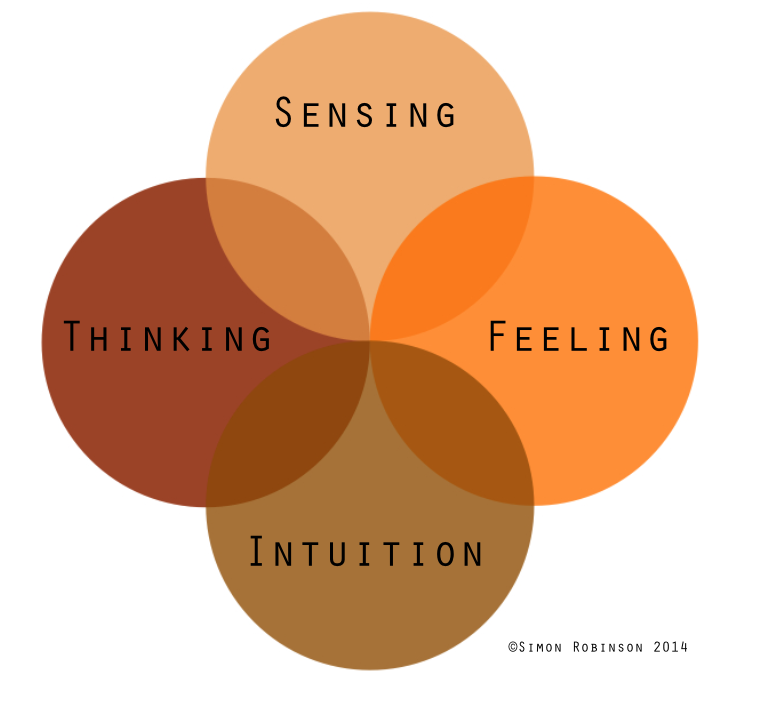 In April of last year Maria and I published our article Holonomic Thinking, and in this article we developed our Ladder of Seeing. While of course not everyone in life is an academic, everyone in life does of course have to live with and deal with complex problems, and our societal and environmental problems affect every single person on this planet. 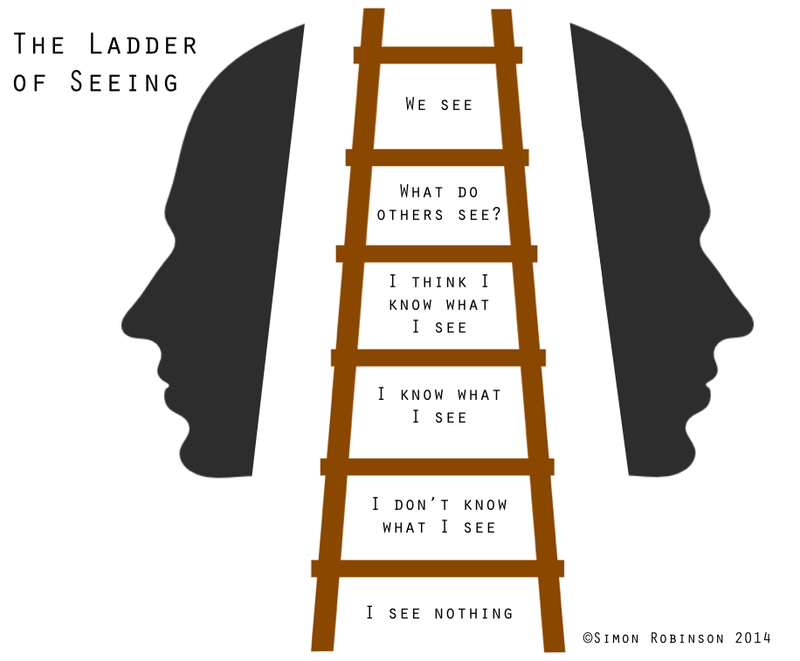 So we created The Ladder of Seeing as one tool to help executives understand the dynamic way of seeing in Holonomics, and it has proven to be extremely powerful. I was at university with Sarah Rozenthuler where we both studied psychology, but lost contact since this was the olden days before even email let alone social networks. 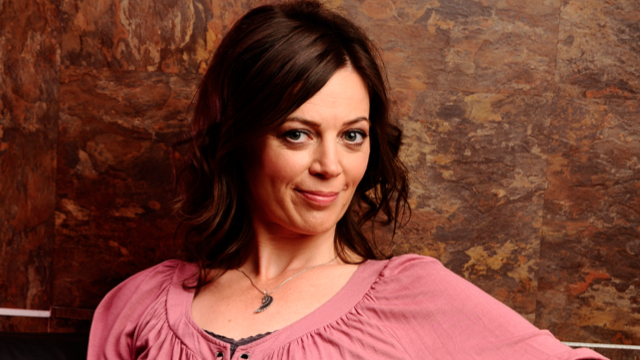 But when I discovered her book Life-Changing Conversations recently I got in touch, and also reviewed her book in two articles, the first one being: Book Review Part One: Life Changing Conversations. In a recent chat with Maria and I, Sarah told us that she wanted to write a book that “would be on sale at WHSmith at Waterloo Station” and by this she meant that she wanted to write an accessible book for all. Sarah has been highly influenced both by the work of Bohm, and also the great thinkers in complexity and chaos, and her great skill is that she has had the insights at a holonomic level, deep intuitive insights which she has been able to translate with aplomb into her wonderful book. So here is the point about the Holonomic Operating System. Understanding something purely academically is fine, but as Carl Sagan once said, “academic ability is no guarantee against being dead wrong”. It is important that we as teachers are able to bring the incredibly important insights and implications of complexity science to everyone, since our future on the planet depends on it. Finally we come around to two paths which intertwine around a single theme of who we are. Henri Bortoft in Taking Appearance Seriously expands on his previous work on Goethe to show how the dynamic way of seeing runs through the history of mankind, and can be found in phenomenology, the hermeneutics of Gadamer, Goethe’s way of science all the way back to Plato (who’s non-dualistic conception of the relationship between the whole and the parts in Parmenides we quote in Holonomics). Gadamer lived to the age of 102, and there has possibly never been anyone so knowledgeable about Plato. At one and the same time, Gadamer both uses his hermeneutical method in Dialogue and Dialectic to explore the work of Plato, but as Bruce Watcherhauser shows in Beyond Being: Gadamer’s Post-Platonic Hermeneutical Ontology, Gadamer was also highly influenced by Plato in the development of his method. Some of you may well be thinking that Post-Platonic Hermeneutical Ontology is a ridiculously pretentious turn of phrase for the subtitle of a book, but I can assure you that I was just blown away by the brilliance of it. If we try to break down what is happening, Plato, Gadamer and also Gadamer’s great friend Martin Heidegger all asked if they could understand one of the greatest questions a human can ask – namely, what does it mean to be? A small word but when you start to unpack it you basically open up a whole can of worms, and Gadamer in particularly thought that Heidegger, who is best known for his magnus opus Being and Time, got it wrong. I will return to these themes in the future, but for now you may wish to look at how I bring together Henri, Gadamer and Goethe in this article Reflections on the Livingness of Life. The livingness of life is the exact theme of Emma Kidd’s new book, First Steps to Seeing: A Path to Living Attentively, which has been written from a very practical perspective to help people truly enter into the dynamic way of seeing. Like me, Emma studied Holistic Science and was a student of Henri Bortoft, but you will have to wait for just a short whole before I publish my review of her book which comes out this June. Giles Hutchins also takes up the theme of the dynamic way of seeing, and in his thought-provoking The Illusion of Separation: Exploring the Cause of our Current Crisis he asks us to reflect on how our current fragmented world view came into being, and how it can be healed. In Gadamer’s view, we have not understood Plato correctly (a theme we agree with and explore in Holonomics), and therefore it was wonderful for me to be invited by Giles to join a small number of friends in his journey of writing The Illusion of Separation, which unfolded over the course of many months reflections, and I saw how Giles was able to start with this neo-Platonic conception of reality and explore ways out of this dualism. In one discussion about the Holonomics Ecosystem I said in one comment that it could be wrapped around. If you do so, you can travel from The Illusion of Separation and First Steps to Seeing to Gill Coombs’ Hearing Our Calling: Rethinking Work and the Workplace. If on one side of the coin we can gain deep philosophical insights as to how we conceive of the world, reality and our relationships in it, then Gill, also a graduate from Schumacher College in Holistic Science, provides some much needed guidance on helping us to think about who we are, what our purpose is in life, and how we can find meaning in our work. If we continue along this path, we go back through a discussion of human values and into the notion of the hero’s journey of Joseph Campbell, a mythological theme which we touch on in Holonomics, and which is also a core theme in the work of our great friend Gunther Sonnenfeld. 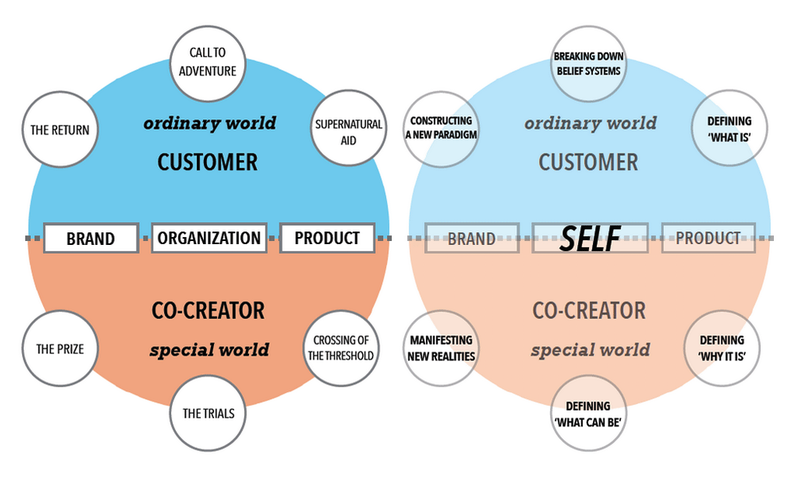 In this video below – which I explain in my article People, Platforms and Purpose: Gunther Sonnenfeld Discusses Business Design and the Future of Work – Gunther explores the question of whether or not venture capitalism can’t ever be spiritual? Gunther closes his discussion with a look at Holonomics, how our values and philosophy resonate with his own visionary work as an entrepreneur and innovator, and so here we are back at the start of this journey through the Holonomics Ecosystem. John Kellden, who I mentioned at the start of this article, described Holonomics in a tweet as “one of the necessary literacies of the 21st century”. This is a wonderful description of Holonomics, and I hope that in this article I have introduced you to some very amazing literature all of which have inspired Maria and myself. It has been brilliant to hear about how Holonomics is now itself inspiring various projects and ventures, and Maria and I always love to hear from friends and readers who write to us with their news. 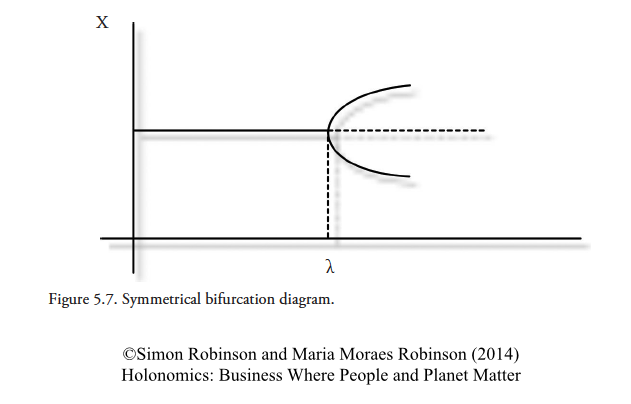 To give you just one example, Jack Martin Leith in the UK has been incorporating Holonomics into the Morpheus project which is examining new organisational realities. In due course, we hope that Holonomics will help you to diving into the dynamic way of seeing, where you have a direct experience of the livingness of life, and develop new business models, projects and visions where people and planet matter. Book Reviews – a list of all the books I myself have reviewed, many of which are in the Holonomics Ecosystem. Below is the complete list of books, i.e. 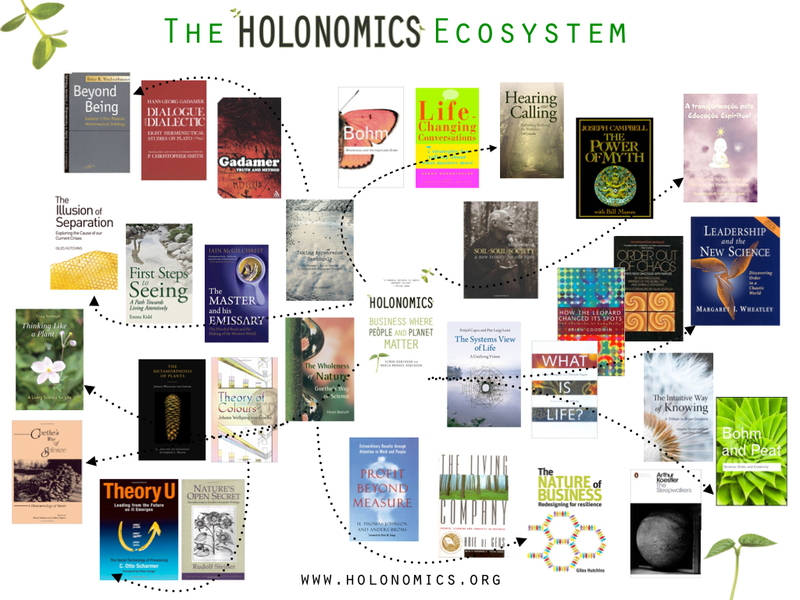 every book which is in the ecosystem diagram. This list is by no means definitive and the ecosystem should be seen as a creative conception and not a dogmatic annunciation. We hope it inspires conversations and new conceptions of the connections between these and many other brilliant thinkers, scientists and philosophers. Nicely woven words with the brilliant colors of Nature.